JASPER -- The Dubois County Sheriff’s Office is reactivating the department’s K9 Program. 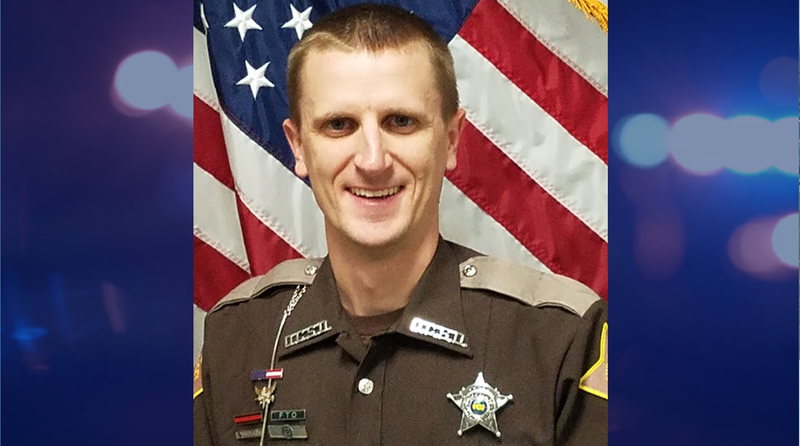 Deputy Clint Gogel has been chosen to take on the new role. The move comes after the retirement of K9 Judge last year and the soon-to-be retirement of K9 Karma. K9s will be used during traffic stops and searches for drugs and other illegal items. Due to budget constraints, the sheriff’s office must seek donations from the community, civic groups and businesses in order to afford the cost of getting a new K9 and equipment. Any and all donations will be helpful in the office's efforts. Contact Deputy Clint Gogel (812-639-9950) or Detective Jesus Monarrez (812-639-2214) if you are interested in donating. The sheriff's office says it would like to thank any and all who continue to support this agency, and our community. The Dubois County Sheriff's Office would first like to say thank you to everyone in our community for their continued support. We are continually striving to meet the needs of our citizens and provide professional services for our community. As most know, last year we saw the retirement of K9 Judge, and K9 Karma will soon be reaching retirement age. Moving forward in 2019 we will be reactivating the Sheriff's Office K9 program. We are pleased to announce that Deputy Clint Gogel will be taking this new role. Deputy Gogel has been employed with the Sheriff's Office for 10 years, he started with the Sheriff's Office working as a Jail Officer for 3 years, and has been a Deputy for the last 7. Deputy Gogel has served this office and the community in many forms; Emergency Response Team, Sniper, Field Training Officer, as well a First Responder and Fireman for Ireland Fire Department. With the ever-increasing presence and use of drugs in our community, as well as violence and property crimes, the Sheriff Office would like to keep the K9 program alive and viable. A new dual-purpose dog will greatly expand the Sheriff Office capabilities, allowing it to quickly detect controlled substance in places like schools and businesses, as well as vehicles. The new Sheriff K-9 will be used during traffic stops, consent searches, searches related to arrest, as well as searches pursuant to a search warrant. The K-9 will continue to increase the efficiency of the sheriff office. A trained K-9's acute sense of smell can help it search a location for drugs in a fraction of the time it would take an officer. Furthermore, the K-9 will also be trained to assist in the tracking of lost persons and the apprehension of fleeing suspects. Due to county budget constraints, the Sheriff's Office must seek donations from community members, civic groups, and businesses in order to afford the continuing costs and purchasing of a new K-9 and equipment. All donations will be put towards the purchase and training of the new K9, and to aid the Sheriff's Office in the fight in illegal drug activity for our community, Dubois County. Any and all donations will be helpful in our efforts, please contact Deputy Clint Gogel (812-639-9950) and Detective Jesus Monarrez (812-639-2214) We would like to thank any and all who continue to support this agency, and our community.